•March 3, 2015 • Comments Off on Is AltaLink Honest and Trustworthy? AltaLink has been criticized in the past by many Albertans and community organizations for its biased open houses and flawed public consultation processes when it comes to dealing with residents, landowners and businesses negatively impacted by AltaLink’s new overhead transmission lines. David McIntyre, a Crowsnest Pass, Alberta resident and scientist, has recently questioned whether “AltaLink is honest and trustworthy”, and whether “its process of public engagement is just and legitimate”. Mr. McIntyre submitted the following letter to RETA, which we have printed in its entirety below. The letter clearly reflects what RETA has heard from many other Albertans during the past 7 years. “The attached letter—it might be entitled Assessing AltaLink—presented here in shortened form to remove the name of a third party individual, was sent to AltaLink following the company’s presentation of meeting minutes that, in the opinion of participants, fell far short in presenting a meaningful rendering of actual outcomes. The meetings addressed a proposed $750-million overhead transmission line from Pincher Creek to Crowsnest Pass. I’ve read AltaLink-recorded minutes from two December (2014) meetings, and AltaLink-recorded minutes from another event, an open house in Lundbreck. There are, as reported to me by several participants, more than a few factual errors in one of the December meeting minutes and, in all cases, the minutes present a profound and distorted—decidedly pro-AltaLink—rendering of the actual dialogue and outcomes. I don’t see any value in trying to correct the minutes at this late date, but wish to reflect the fact that I am disturbed that AltaLink, seemingly present to record full-spectrum concerns and the essence of full-dialogue discourse, failed miserably in recording the voices and concerns of the AltaLink-threatened populace. Other participants have expressed similar concerns. My thought: The distributed minutes create the on-paper impression that AltaLink, an unassailable authority on the land and over the people, was kind enough to listen to, and quickly squelch, all of the populace’s silly and/or ill-founded concerns. AltaLink’s presence—it turns lives upside down—threatens life, lifestyles, and quality-of-life issues. The name AltaLink fosters fear and feelings of despair. Lifelong dreams and investments are on the chopping block. AltaLink’s open houses and various other meetings cost residents dearly in terms of time, energy, money, unwanted travel and extreme stress. Worse, the open houses allow AltaLink, an outsider, to come in and, for a day or two, take over our community and “invite us” to come in and see how the company plans to degrade, and potentially destroy, an iconic Alberta landscape … and everything we’ve worked to achieve by making this landscape our home. It would appear that residents participating in these exchanges—as long as the populace is trapped in this pro-AltaLink, discriminatory process of “engagement”—need to, in addition to being present, assume the role of recording the outcomes of these meetings. This would appear to be the only way to ensure that a clear and honest record exists. Another alternative: hire a third-party to record meeting minutes. What I’m addressing, more than the need for factual reporting, are the issues of honesty and trust. Does anyone other than AltaLink feel that AltaLink is honest and trustworthy, or that its process of public engagement is just and legitimate? Residents who recently attended an open house at the Genesee Community Hall on the new Fort McMurray West 500 kV Transmission Project voiced their concerns about the negative impacts of the overhead line (Spruce Grove Examiner). Concerns raised included the impact the new overhead line would have on the environment (including wildlife), livestock, and homes. Others raised concerns about the need for the line and the $1.4 billion cost of the line. Some residents wondered why such a long line was needed and suggested ways be found to shorten it. ATCO Electric, which has teamed up with Quanta Services to form Alberta PowerLine (listed as an ATCO company), will be designing, building, owning and operating the new line that will run from the Wabamun area to Fort McMurray. Residents who have attended other open houses conducted by ATCO or who have contacted RETA directly, have also expressed concerns about the recorded property devaluation, health impacts, blighted landscape, and negative effects on agricultural operations associated with overhead high voltage transmission lines. See this link for more information on the new transmission line to Fort McMurray, already approved by the Alberta Government in 2009, and concerns residents have about the controlled public information sessions being held by ATCO. Although transmission companies consistently tell landowners that overhead high voltage power lines do not decrease the value of property, the facts indicate otherwise. To add to the growing list of examples of property devaluation associated with ugly overhead high voltage transmission lines and towers, a Texas court recently awarded a $445,365 judgment against Oncor Electric Delivery Co. after a northern Texas property owner’s land lost value when an easement was taken for a high voltage power line (PR Newswire). A dispute began in 2011 when Oncor sued Edward Clack to acquire a 33.6-acre easement on his property to build a 345 kV transmission line. Oncor had first offered Mr. Clack less than $55,000 but eventually raised the offer to almost $140,000. This then turned into a debate on how much a high voltage power line easement with its unsightly tall towers and lines reduces the value of property it crosses. 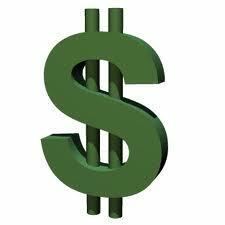 A Wichita County jury recently agreed that an entire property was worthless, not just the land taken for the easement, and awarded Mr. Clack the full amount he requested plus interest and court costs. Hopefully, this decision will encourage landowners everywhere to seek fair compensation when unsightly overhead transmission towers and lines are placed on their properties – not just settle for what transmission companies offer. Very few people want overhead high voltage transmission lines running next to their homes, decreasing their property values, negatively affecting their health, blighting the landscape, and damaging the environment. Communities around the world continue to press for the burial of these lines to essentially eliminate the many negative impacts of overhead lines. Councillor Arthur Walpole, who represents Llanymynech (a village that straddles the England-Wales border), will be presenting a motion to the Shropshire Council next week, calling for all members to object to National Grid’s proposed overhead 400 kilovolt lines to connect wind farms in Mid Wales to the existing power grid (Shropshire Star). Walpole’s motion reads, “The proposed overhead power lines will have a detrimental impact in Shropshire with no perceived beneficial gain for Shropshire communities and will adversely affect our local communities, our environment and our tourist economy”. He will ask the Council to “press National Grid to re-examine the justification for the overhead pylon route and to present a feasibility case for a solution using underground cables” if the power lines are deemed necessary. Many electricity transmission providers argue that it is too expensive and/or it is not technically possible to bury high voltage transmission lines. The fact is, it has been shown repeatedly that it is both technically feasible and financially feasible to bury these lines. Landowners who would be directly and negatively impacted by a new power line are concerned about the documented health, property value, environmental, visual and agricultural (crops and livestock) impacts of overhead high voltage transmission lines. Alberta Powerline, a partnership between ATCO Electric (80%) and Quanta Services (20%), will be designing, building, owning and operating the new overhead Fort McMurray West 500 kV Transmission Project. The 500 kV single-circuit line would run from the existing Sunnybrook Substation in the Wabamun area to Fort McMurray, and would include a new Thickwood Substation in Fort McMurray and an expanded Livock Substation in the Wabasca area. Two routes have been proposed by Alberta Powerline – one through Westlock County and the other through Barrhead County. About 40 residents turned out to an open house in Fawcett last week, and about 200 showed up at a Westlock open house last week (Westlock News). A concern by many landowners attending these open houses or who have contacted RETA directly, is the health risk associated with overhead high voltage transmission lines. An ATCO Electric staff member at the open houses tried to dismiss these health concerns by referring to Health Canada and the World Health Organization (WHO), both of which suggest there is inconclusive evidence that electromagnetic fields (EMFs) cause health problems. Although ATCO Electric and most other electricity transmission companies in Canada will cite the WHO or Health Canada as credible sources for information on the health risks of overhead high voltage lines, both institutions have been heavily criticized for being unduly influenced (a.k.a. lobbied) by powerful and well-financed electricity transmission companies for decades, to the point of being labelled as “corrupt” by experts who study EMFs and health problems. See this Fact Sheet on the WHO, this Fact Sheet on Health Canada, and this RETA blog for more information on the credibility of these 2 institutions. The fact is, hundreds of well-researched medical and scientific studies indicate there are increased health risks of prolonged exposure to overhead power line electromagnetic fields (EMFs) and the corona effect. These risks would apply primarily to people living, attending school, or working near transmission lines, or who would otherwise be situated near power lines over a prolonged period. Studies have revealed many kinds of increased health risks, including: leukemia and many other cancers; Alzheimer’s and Lou Gehrig’s disease; heart disease and circulatory problems; nervous system disorders; retardation of fertilization, fetal resorption, miscarriages and birth defects; immune system deficiencies; depression; suicide; persistent mental disorders; male sexual dysfunction; memory impairment; decrease in visual and motor reaction time; fatigue, headaches and nausea; and behavioural problems. Other concerns raised by landowners who have contacted RETA about the proposed new line include: property devaluation, visual impacts of unsightly overhead towers and conductors, environmental impacts, and negative effects on their agricultural operations (both crops and livestock). Wilma Bailey, who lives west of Busby, attended the open house because the Westlock route would cut right down the middle of her property. She was very disappointed by ATCO’s open house format, and expected there would be a public meeting rather than a bunch of one-on-one meetings between ATCO representatives and landowners. Bailey thought there should have been an opportunity in an open forum to ask questions, rather than ATCO dealing with only a few people at a time. This open house format of informing landowners of new transmission projects is a common tactic used by most electricity transmission companies because they want to control the communication to landowners as opposed to having an open discussion where landowners can take turns asking questions and providing their comments, which generally results in a more collaborative, meaningful and honest exchange of views. In other words, transmission companies do not like to be in the hot seat, where they have to defend their remarks with facts and other credible data. It’s interesting to note that the Alberta Electric System Operator (AESO) did not automatically award one transmission company the contract to build the proposed line to Fort McMurray, as they normally would, based on the traditional service areas of Alberta’s transmission companies. Alberta is essentially carved up by the AESO and big transmission companies into service areas – almost all of Alberta, except a few of our bigger cities, is serviced by AltaLink or ATCO Electric. AltaLink, which is now owned by U.S. behemoth Berkshire Hathaway Energy, serves the lion’s share of Alberta customers (85%). This traditional uncompetitive approach has resulted in highly inflated budgets and overruns to build transmission infrastructure in Alberta. In September 2011, the AESO applied to the Alberta Utilities Commission (AUC) for approval of a “competitive process” to build the Fort McMurray line, after the public had complained significantly about the “old boys” approach of the AESO simply handing over on a silver platter new transmission projects based on traditional service areas. The AESO proudly announced on February 14, 2013 that the AUC had approved AESO’s so-called “competitive process”. The only project to be awarded under this new process has been the Fort McMurray West 500 kV Transmission Project, whereas other new projects continue to be awarded under the traditional uncompetitive process. If we look closer at the awarding of the Fort McMurray line to ATCO Electric, it is questionable just how competitive it actually was. How much of a coincidence is it that the majority of the route for the Fort McMurray West line lies within ATCO Electric’s traditional service area, and the fact that ATCO – together with Quanta Services – was awarded the contract? Of the 5 companies (all partnerships) selected by the AESO to bid on the project, two partnerships submitted bids, one did not submit a bid, one withdrew their bid, and we’re not sure about the fifth. AltaLink did not even submit a bid, even though they were invited to do so. One would think that a $1.4 billion project would interest a company with as much Alberta experience as AltaLink. One can only speculate about AltaLink’s reason(s) for not bidding. Believe it or not, this is where AltaLink wants to build a new overhead transmission line – the Castle Rock Ridge to Chapel Rock Transmission Project. 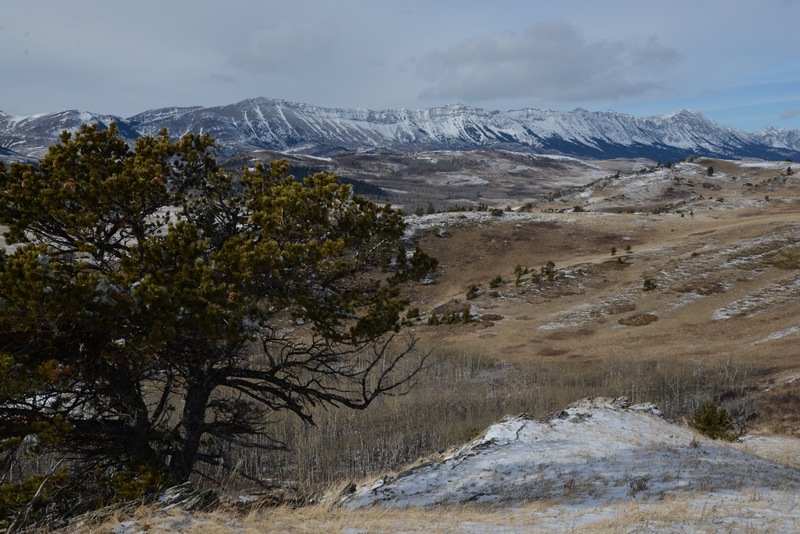 Photo caption: A limber pine, an endangered species, frames the foreground of this heritage rangeland viewscape, part of which has been formally designated by the MD of Pincher Creek. The sweeping Crown of the Continent view across the Rock Creek watershed looks westward toward the Livingstone Range. Within this Serengeti-like landscape, herds of elk traverse rare rough fescue grasslands, and pure-strain westslope cutthroat trout, a threatened species, cling to a small fraction of their former range. Thousands of golden eagles – the world’s greatest concentration – migrate through this same wind-whipped, topographically tortured land each year, and it’s known around the world to sailplane pilots as Canada’s supreme soaring site.